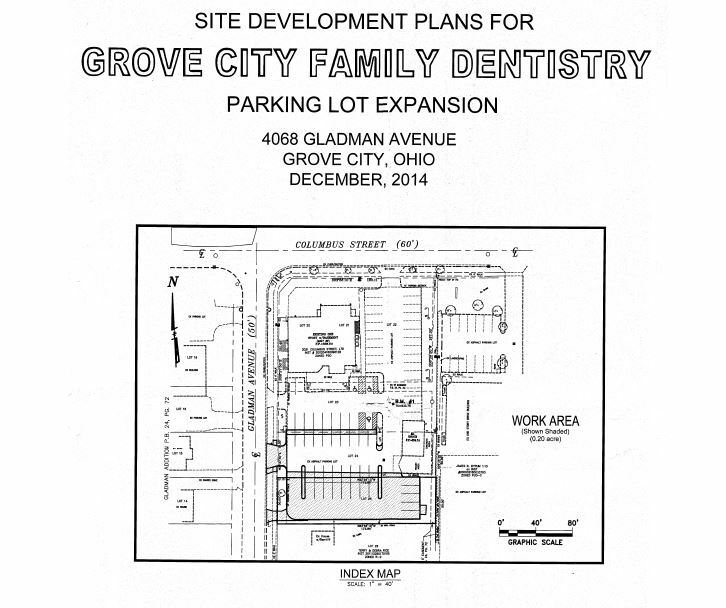 This proposal is to expand the parking lot for Grove City Family Dentistry at 3031 Columbus Street. The proposed expansion will create 16 new parking spaces and supplemental landscaping on the property to the south of the existing parking lot. The existing single-family house and accessory building will be removed for the proposed parking lot expansion.